So today I'm starting a new series of articles. 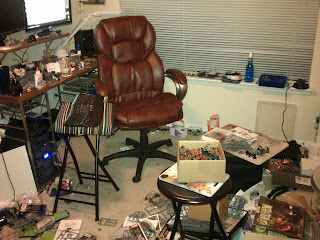 My office, as you can see in the pic is in a TERRIBLE state. Sprues everywhere... I can't get to my desk without almost tripping over anything... the only reason I can find anything is because I'm used to where it fell when I was done with whatever it was. Since the end of WGC I've spent single-digit hours in my office. While Mass Effect and Mass Effect 2 may have a lot to do with that... the room is a true barrier to getting more painted/converted. So... a rebuild of the office is in order. The Girl and OneMsRabbit were instrumental in the idea here. Why not, instead of just putting things away and cleaning up the floor, what about making the office a truly organized, truly comfortable place that sparks and fosters creativity and design ideas? Watching the peace that came over OneMsRabbit when she re-made our bedroom to fit her want to have her own desk/space was a inspiration. I want a place I can come to and enjoy, not trudge to. 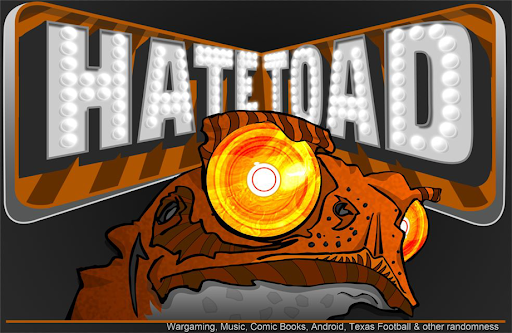 I would like to be able to enjoy comics again without destroying my neck/back looking up at a screen. I'd like room on my desk to both model and work on a computer. So what am I going to do? Well first, I'm going to do the aforementioned needed clean-up. But with a mind towards organization. I'm going to take a look at the bits/sprues laying around and group them so that if I need a specific bit I know which pile/drawer to look in. Same then with paint and tools. This will be facilitated by a new desk. I already have part of it, but I will be adding another piece from Ikea which will give me the computer space and modeling space that I'm craving. After that? Well, we'll see where we are at and what is needed. At the very least, I want to get the floor clean as soon as possible so I don't have to close the door and hide from The Destroyer (SpankyHarrison's dog). So who has ideas for good drawer systems? I have an old dresser that I hate but will use. Also, who has already done this? What pit falls should I avoid? Any ideas? 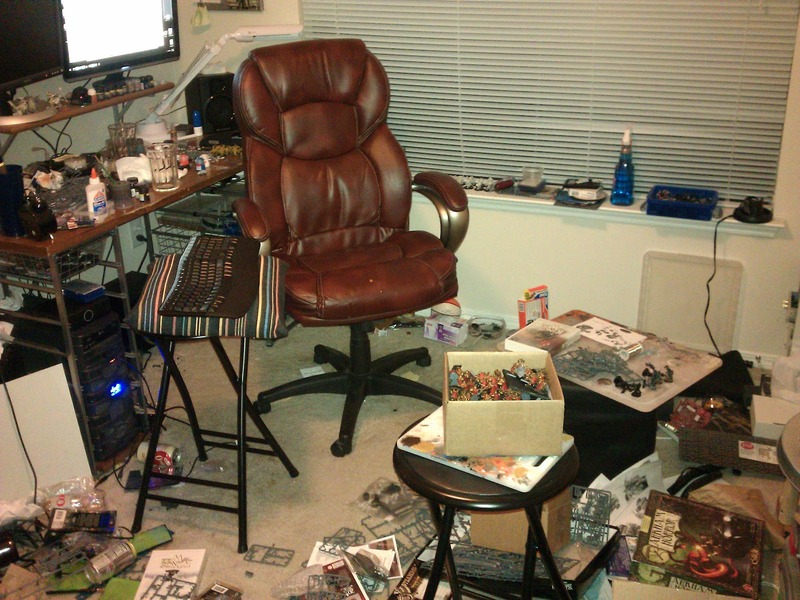 No office can be considered to be in "terrible" disorder as long as there is a copy of Arkham Horror residing therein.